Motorola DS6878-DL - SCANNER ONLY. 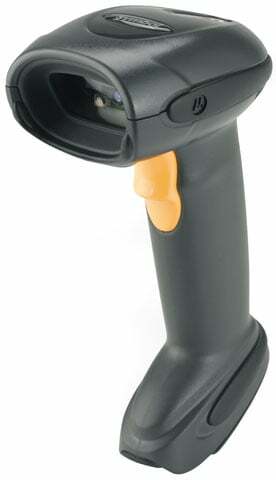 Cordless 2D Imager with Embedded Driver's License Parsing firmware. Requires Radio/Charging Cradle (CR0078-SC10007WR) and USB Cable (CBA-U01-S07ZAR). Power supply Optional. Color: Black. The Motorola DS6878-DL cordless 2D imager offers the complete data capture functionality required to streamline and error-proof everyday processes. Comfortable and easy-to-use, this single device can capture all common barcodes (1D, 2D and PDF417) on labels as well as on mobile phone displays. The on-board Driver's License parsing agent enables instant decoding of barcoded information on driver's licenses to support a wide variety of value-added applications. The optional hands-free presentation cradle enables additional advanced capabilities: signature, document and photo capture, optical character recognition (OCR) to capture text in documents, and MICR to capture numeric information on the bottom of checks. The Motorola DS6878-DL20007WR is also known as SYM-DS6878DL20007WR	or DS6878DL20007WR	.